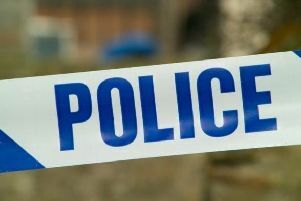 A man was killed when his car crashed into a tree stump on the roadside near Hemel Hempstead. Officers are appealing for information following the incident in Nettleden Road on Saturday, October 6. For reasons unknown at this stage, a black Vauxhall Zafira, left the road before the collision at around 9.15am. The driver, a man in his 30s, died as a result of the crash. Sergeant Keith Evans from the Bedfordshire, Cambridgeshire and Hertfordshire Road Policing Unit, said: “Our thoughts are with the man’s family who are being supported by specially trained officers. “I would like to hear from anyone who saw the collision, including the events leading up to it, and anyone who has other information that can help with the investigation.